Aishwarya Rai Bachchan was recently to inaugurate the 52nd branch of the Kalyan Jewellers 22nd September in Ludhiana. Aishwarya being the face of the product launched most of their branches. 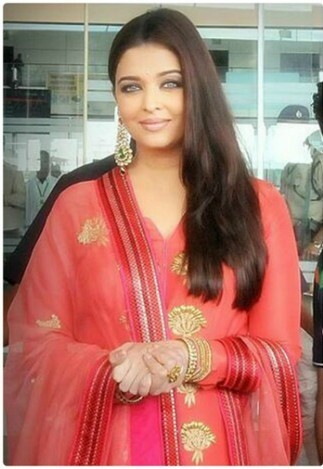 Aishwarya Bachchan landed at the Chandigarh Airport on Saturday night and she stayed at J W Marriott hotel. She fixed a chartered air travel to reach Ludhiana and landed at Sahnewal airport approximately 20 km from Ludhiana. Bollywood Actress Aishwarya Rai visits to the city for the launch of Kalyan Jewelers Showroom on Rani Jhansi Road so all Ludhiana’s people excited to see Aishwarya Rai Bachchan and want to meet her. It was heavy rush on Rani jasi Road to meet their favourite actress Aishwarya Rai. She really thank to people for their love and support. She concentrate on the fans outside the Kalyan jewelers showroom she was surprising to see their fans. She was the first runner-up of the Miss India show, and the winner of the Miss World show of 1994. She is a leading modern actress of Indian cinema and has received two Filmfare Awards and she is most beautiful Bollywood Diva and lovely wife and her performance is too good in film carrier.